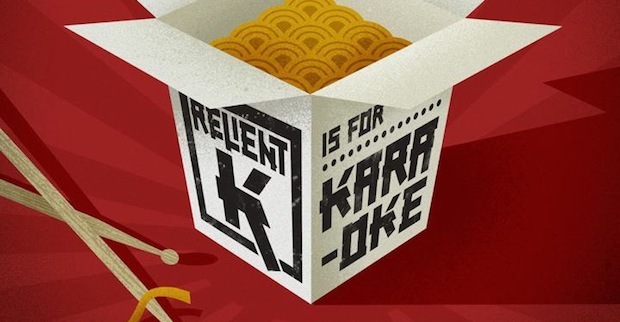 Relient K’s decision to release an album composed entirely of cover songs is a bold move, and certainly more daring than the traditional inclusion of one cover on an otherwise original album. These are fourteen songs of differing fame, some slightly re-imagined, some slightly improved, and a lot that sound like a cheap imitation of the original. It is, thus, an album of mixed fortunes, and one whose reception will likely depend on the individual listener’s opinion towards the original songs. The album’s first effort is a take on “Girls Just Wanna Have Fun,” the perennial Cyndi Lauper classic. This is a perfectly adequate interpretation of the song, full of energy and fervour, though it’s inevitably not a patch on the original and therefore something of a dodgy opening. The Justin Bieber cover which follows is, as you all know, a Justin Bieber song and therefore doomed from the outset. The band pick up a little steam as they go along though, with some genuinely imaginative and inventive takes on various tracks before the final few splutter into lifelessness for want of originality. “One Headlight,” whose first incarnation boasts mood, ambience, and a slick bass line to die for, isn’t quite done justice. It does match the tone of the original to a certain extent, but it doesn’t feel quite as complete and loses some of its magic. “You’re the Inspiration” is a Chicago song from in or around 1984, bathed accordingly in thick cheese. Relient K’s version is actually much nicer. The opening piano notes lend it an evocative poignancy and the somewhat minimalist take on the song makes it much easier to take seriously. Indeed, the band seem to bridge a gap between the decades, as this new chorus with its seamless blend of harmonised vocals, guitars, and keys sounds massively early 90s and has a great deal more flair. Cake’s “The Distance” has a rather frenetic mêlée of instruments, essentially sass incarnate. It’s cursive, edgy, and roguish – something like The Bloodhound Gang reworked through an urban hip hop. The version recorded for this album fails entirely on the rapping front, though the instruments are more rocked up and therefore a little more accessible. “Crazy” is a comparatively recent song compared to many of these, and should therefore need no introduction. Given how well-known it is, Relient K’s rendition is disappointingly bland, matching the bass line but otherwise diluting it into something far too poppy. “Motorcycle Drive By” as played by Third Eye Blind sounds horribly like one of those songs that play in the background of a pivotal, pensive scene in a TV drama series. The cover version changes little, remaining sensitive and guarded and never really transcending its plain beginnings. “Dr. Worm” (originally by They Might Be Giants) is irreverent and childlike, quite a harmless, friendly track. Relient K make it more subdued in their interpretation, stripping much of the fun out in a possible attempt to make it sound more mature. It’s a fine, respectful take on the track but it seems to lose the spark that makes the original that much more appealing. “Interstate Love Song” is a Stone Temple Pilots song, therefore boasting a very distinctively smoky, potent sound and unique vocals that would always make it difficult to reinterpret. Relient K do their best here, but can’t pull together the effortless atmosphere, vividness, and lasciviousness that characterises the first version. It comes off as something of a sore imitation, as does its successor, “Here Comes My Girl.” Tom Petty and the Heartbreakers’ bravado-laden song is made too poppy and therefore too dull. Surprisingly, the song whose reinterpretation works best is “Africa” by Toto. The original version has a gorgeous, tender simplicity that is both earnest and sincere, managing to be wholesome, lyrical, and poetic all at once. This rendition is a little jazzier and amps up the vocals and guitars in the chorus to give it a far steadier and stronger beating rock heart. It adds what little 80s cringing was missing and gives the original a little more bite for this modern age. Sadly, neither “Surf Wax America” (by Weezer) or “Inside of Love” (by Nada Surf) receive this kind of meritorious treatment, though to be fair “Inside of Love” is a spectacularly boring song to begin with. The band end with “Everybody Wants to Rule the World,” a take on the well-known anthem by Tears for Fears. They modernise it somewhat and give it a great deal more rhythm. The sense of excited urgency is more prevalent in the newer version, and the subtle injection of drive here and there works well in its favour. So, essentially, what you have here is a compendium of varying karaoke efforts, as the album’s title would suggest. It’s a relatively interesting and occasionally engaging listen with some real successes amongst the diverse offerings. It’s not really remarkable enough to merit massive attention, but it’s a brave attempt nonetheless.